FBI Director Christopher Wray said Wednesday that he stands by the U.S. intelligence agencies’ assessment that Russia interfered in the 2016 election, and he warned that the Kremlin has not stopped trying to undermine American democracy. His comments come amid a series of contradictory statements from President Trump this week about whether he believes Moscow interfered in the U.S. presidential race and is still meddling in American politics. The president has been trying to correct course since coming under intense criticism for appearing to accept Russian President Vladimir Putin’s denials over the U.S. intelligence community’s assessment of Moscow’s election interference. 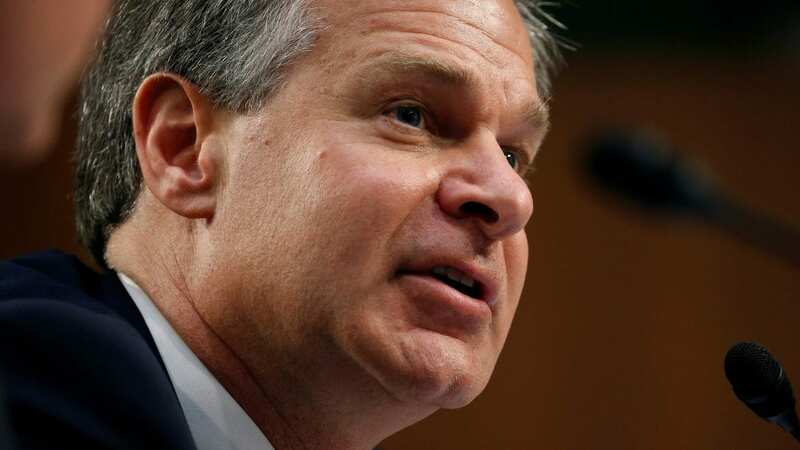 Wray also brushed aside an offer Putin raised to Trump at their recent summit in Helsinki, to allow FBI agents sit in on Russian law enforcement’s questioning of Russian suspects who are of interest to U.S. authorities. “I never want to say never about anything, but it’s certainly not high on our list of investigative techniques,” Wray said. “I do not believe special counsel Mueller is on a witch hunt. I think it’s a professional investigation conducted by a man I’ve known to be a straight shooter,” he said.